A couple of years ago, we bought a freezer to keep in the garage. 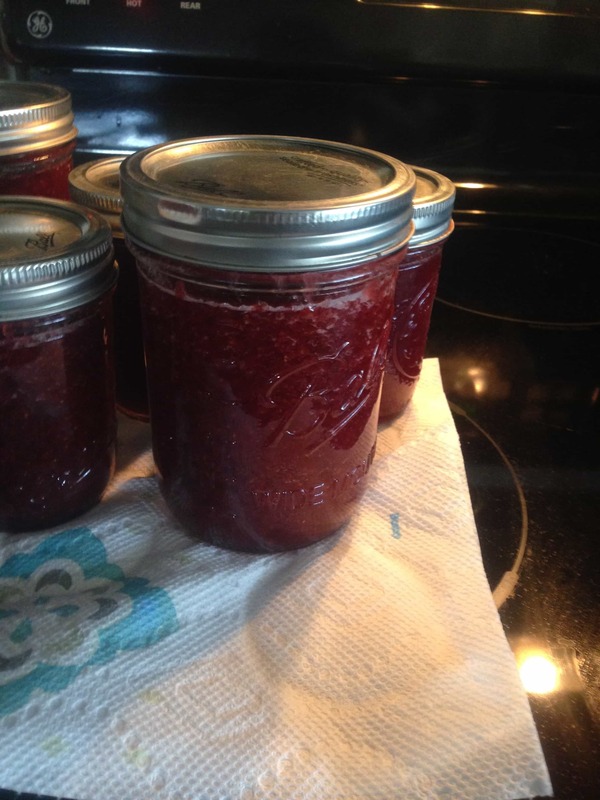 My main objective was to make jams and jellies and freeze the jars of deliciousness. 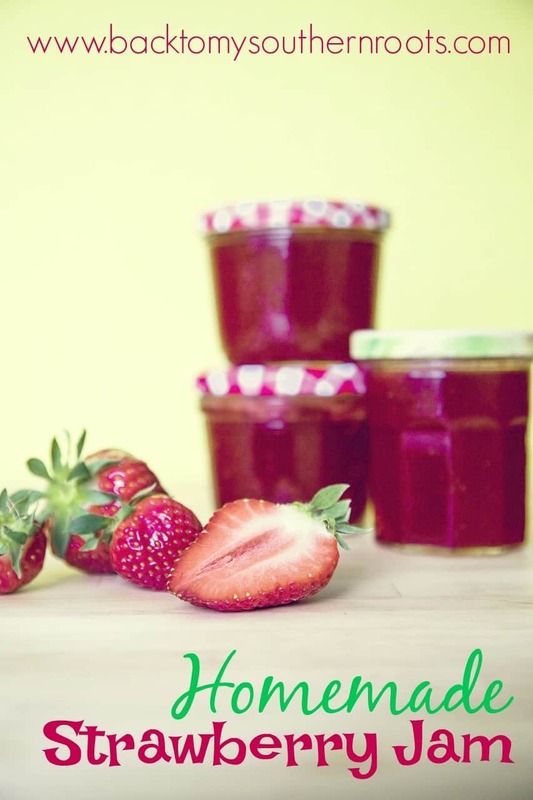 If you’re looking for a way to make homemade strawberry jam without pectin, this is a great recipe, and it only calls for two ingredients. 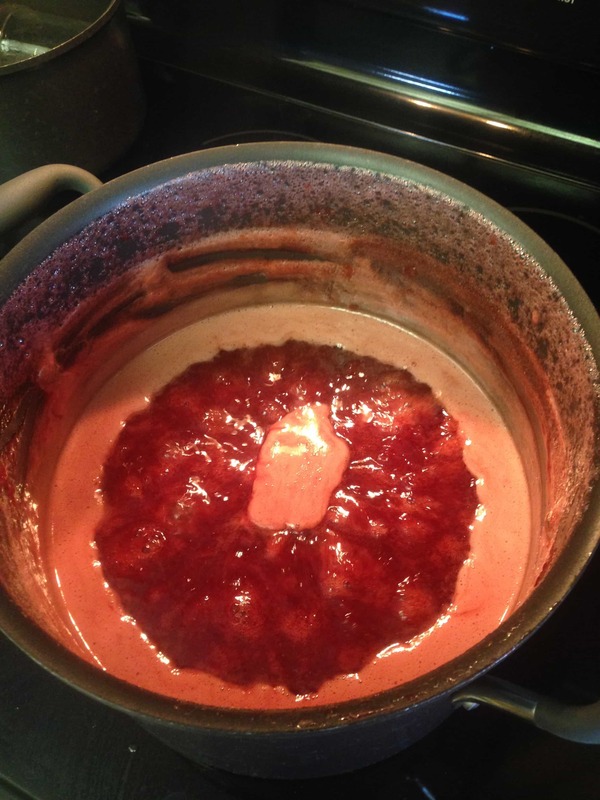 But…it ended up taking me about two years to get started on cooking my first batch of jam. My husband, John, picked up a large tray of strawberries at a local fruit market for me. When he came home, he had them sitting in a large box, and I laughed–I thought I knew it all. I couldn’t imagine that we would need that many strawberries. I was totally wrong. We ended up using every bit of those berries. The picture below is about 1/10th of what we used. I got the recipe from an old Ball Blue Book Guide To Home Canning and gave it a little bit of my own tweak. The book is a super fun guide to look through. I felt like I was stepping back in time after reading some of the recipes. And, to top it off, the pages were yellowed and used. I knew I would cherish it all the more. The authors of the Ball Blue Book Guide to Home Canning even spell syrup, ‘sirup’ in the cookbook. I felt all southern just sayin’ it! So, as I started mashing the strawberries, I realized how weak my arms really are. These babies need some more muscle. No wonder my grandmother had biceps to die for. I had to enlist the hubs to help mash. I think I’ll use the blender next time. 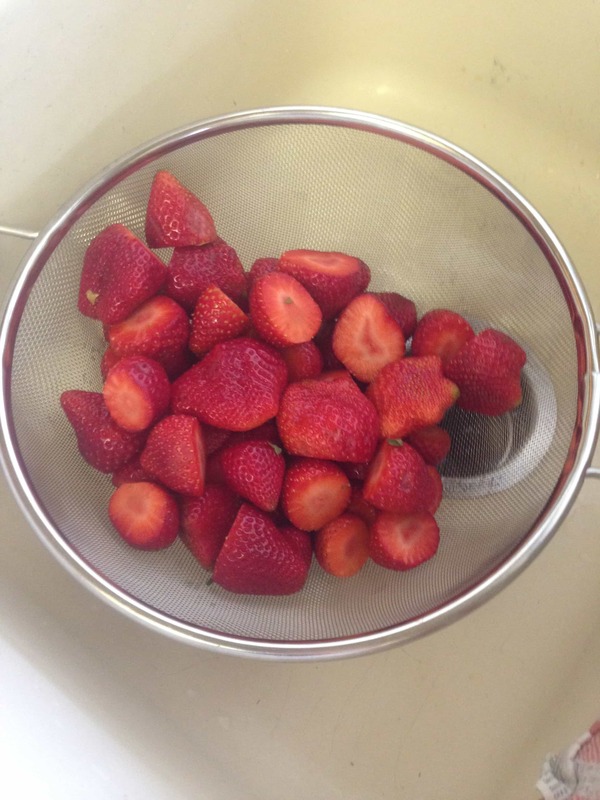 Once the mashing was all done, we started to cook the strawberries. All I can say is, thank goodness for air conditioning. That is a hot job standing there for an hour. The full recipe and directions are listed below. I got the jam cooked, poured it into the spiffy clean Ball jars, and waited to hear the “pop” when the jars sealed after a few minutes. Cooking jams and jellies is an art form. If you follow the recipe the jam will turn out great–and taste much better than store bought jam. Use a big pot. It almost boiled over and I couldn’t stop thinking about how I would be scraping burnt sugar off my stove for the next week. Be prepared ahead of time, and don’t use the grip-jar lifter upside down. Yeah, it doesn’t work that way. It’s worth the effort to see happy faces eating the jam. Boil the jars and lids, and set aside. Combine the strawberries and sugar into a large pot. Bring slowly to a boil, and stir occasionally until the sugar dissolves. Cook rapidly until it thickens, about 40 minutes. As it thickens, stir it frequently to make sure it does not stick to the pan. Pour into jars and place the lids on top. Give them a little bit of time to seal - you will hear a pop when they seal.